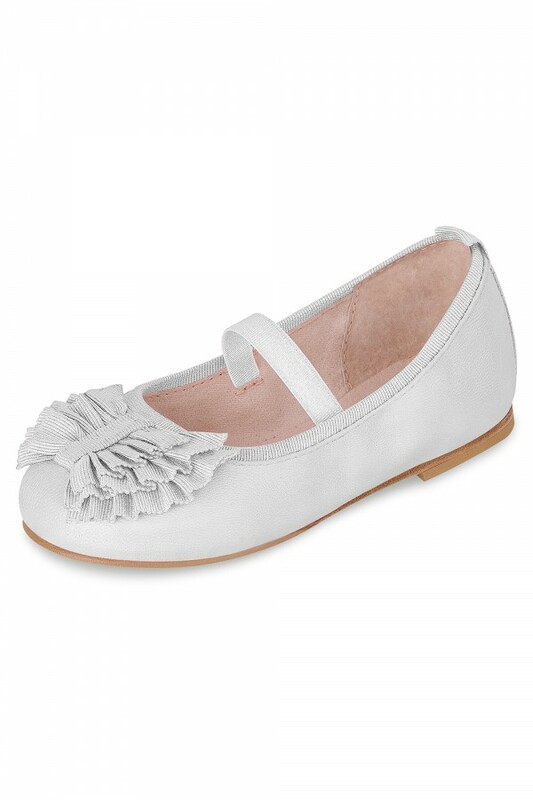 Super cute ballet flat featuring a multi ruffle bow on the front of the shoe. Crafted in a soft leather, this shoe is the perfect finishing touch for any special occasion. A single elasticized strap across the foot holds the shoe firmly in place, whilst the leather rubber outsole is hard-wearing for girls on the run. A soft leather lining paired with our iconic padded teardrop adds extra comfort.